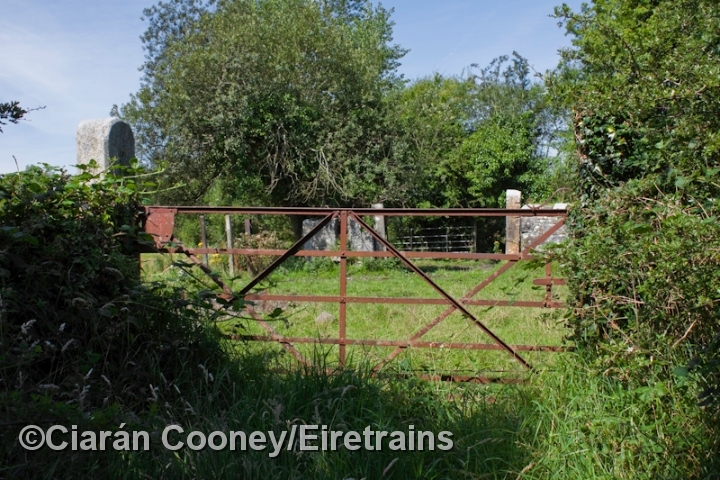 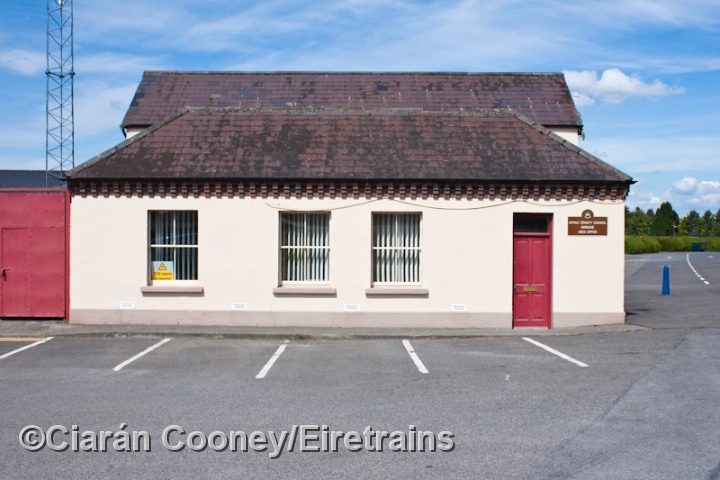 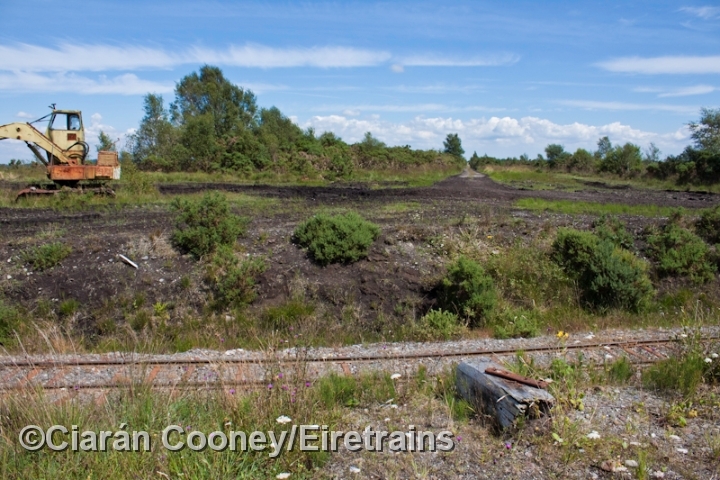 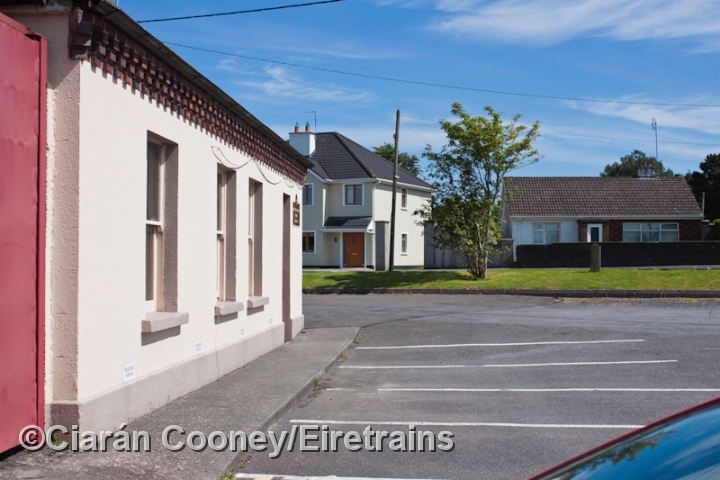 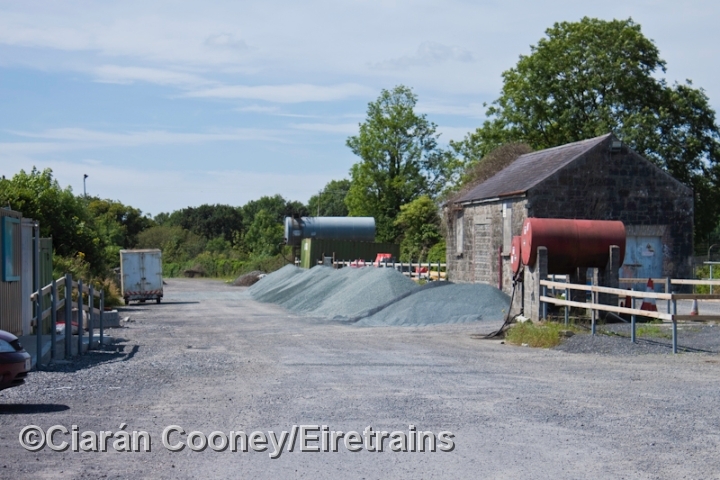 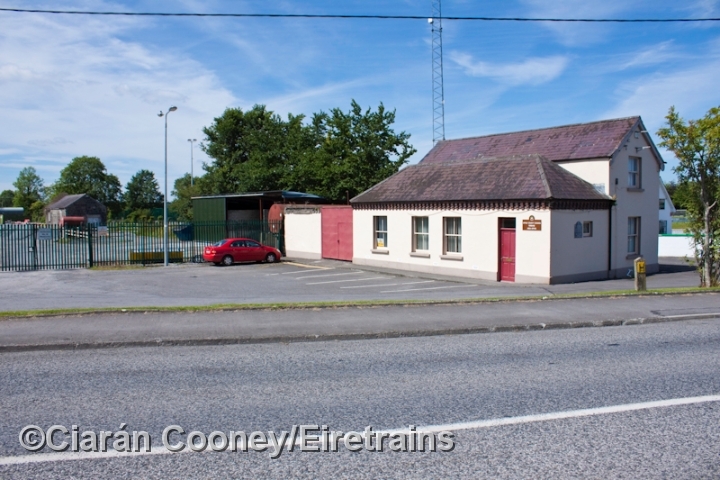 Ferbane, Co.Offaly, was the largest village to be served on the 17 mile branch line from Clara to Banagher, constructed by the Clara & Banagher Railway. 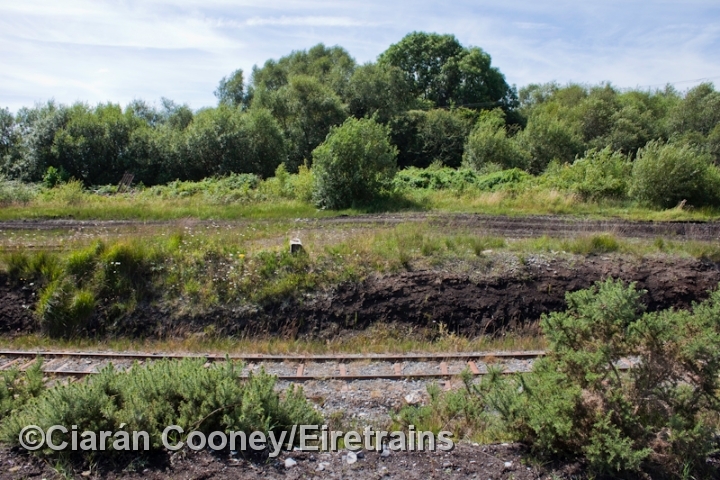 Opened in 1884 after a many protracted years of construction, the line was latterly operated by the Great Southern & Western Railway. 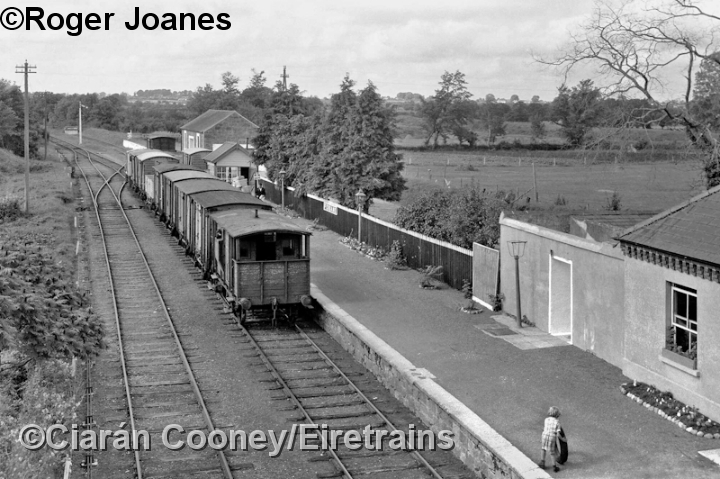 Passenger services over the branch ceased in 1947, but the line remained in use for goods and occasional specials until complete closure in January 1963. 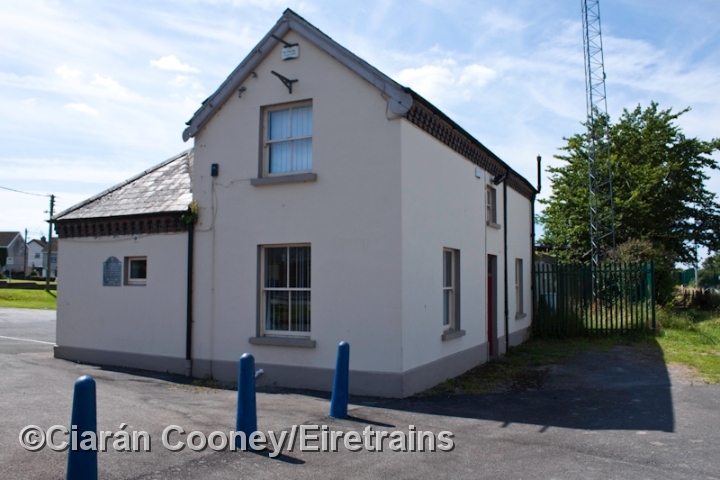 The former station at Ferbane remains intact, with the station building and goods shed surviving as part of county council offices. 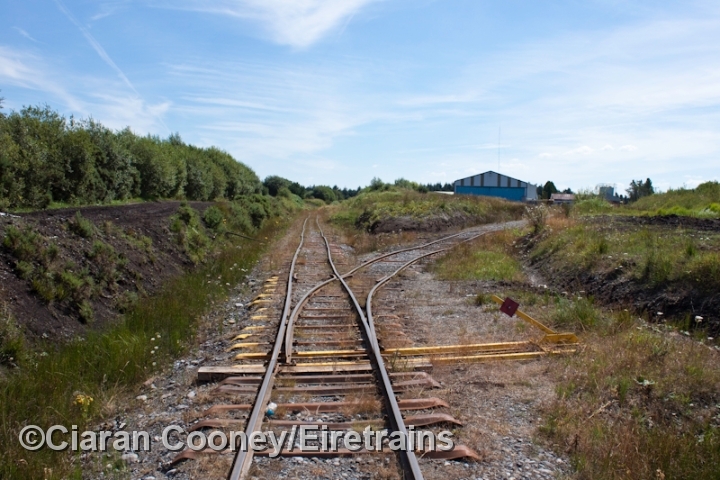 The single platform and adjacent road overbridge has however been demolished. 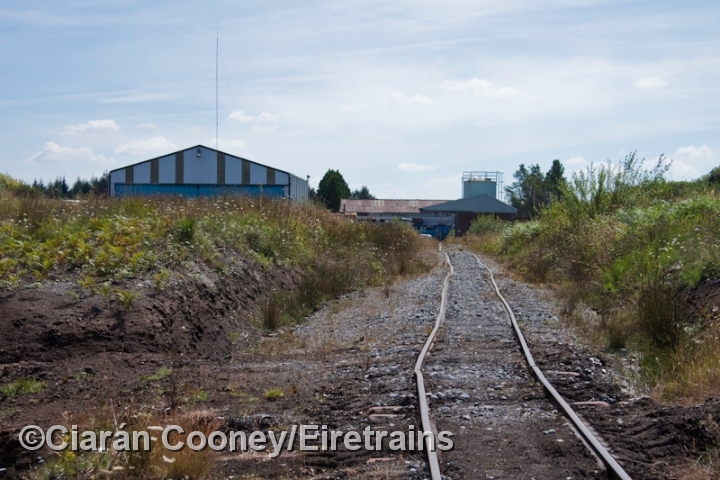 The station, which had a small signal cabin controlling the sidings and goods loop, ceased to be a blockpost in October 1958, the loop and sidings been controlled by a ground lever frame from then on.